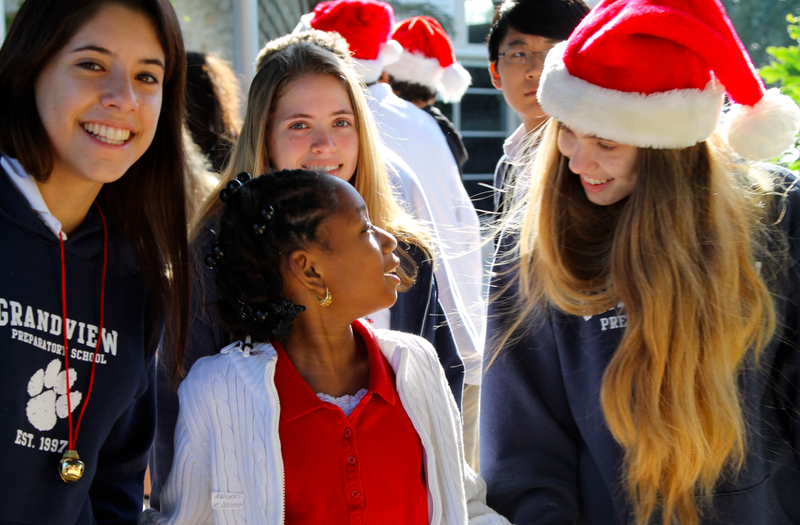 Students welcome their buddy to campus. 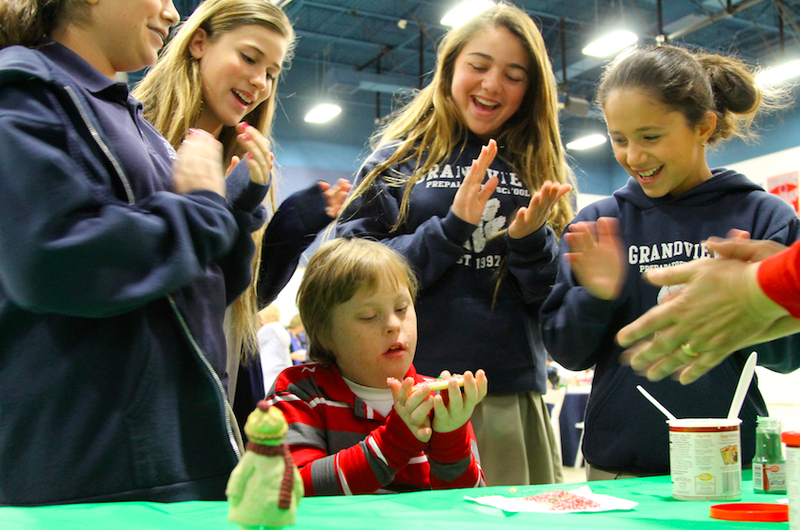 Grandview welcomed more than forty special-needs students from J.C. Mitchell Elementary School in Boca Raton this week for an annual holiday party. 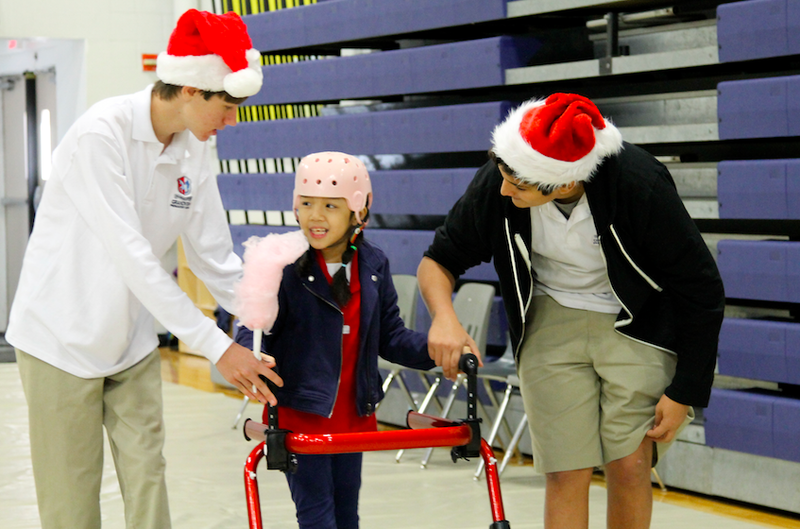 Dubbed “Celebration of Life,” the event pairs upper school students with younger students who have special needs ranging from physical disabilities to severe mental handicaps. 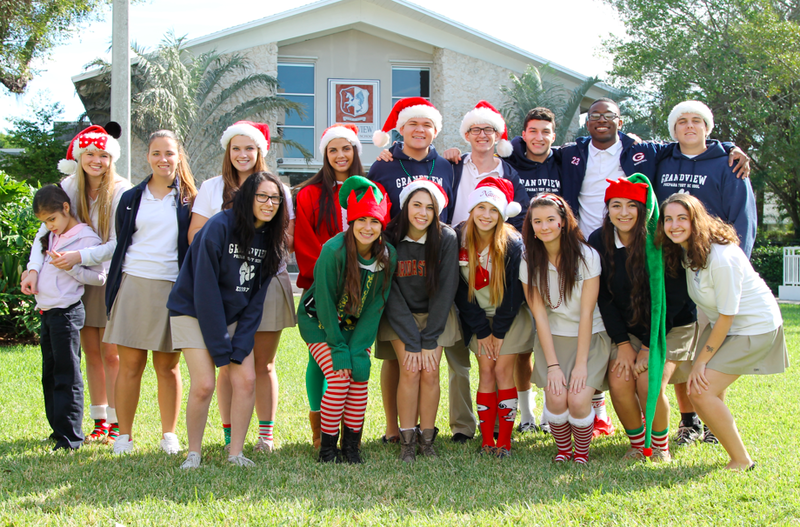 Students spent the morning enjoying holiday-themed activities on the Grandview campus. This is the only field trip of the year for the J.C. Mitchell students. Student hosts bond with the children and guide them to each activity. Cotton candy is always a favorite! This tradition began in 1998– shortly after Grandview opened. One of the founding employees had a daughter in the program at J.C. Mitchell. On a field trip with Grandview students, the teacher indicated that his daughter would never be able to go on field trips– no one in the program would– because the cost of transportation and supervision for the students is so high. After hearing the teacher’s story, Grandview’s Student Government resolved to host a field trip for the deserving J.C. Mitchell students. 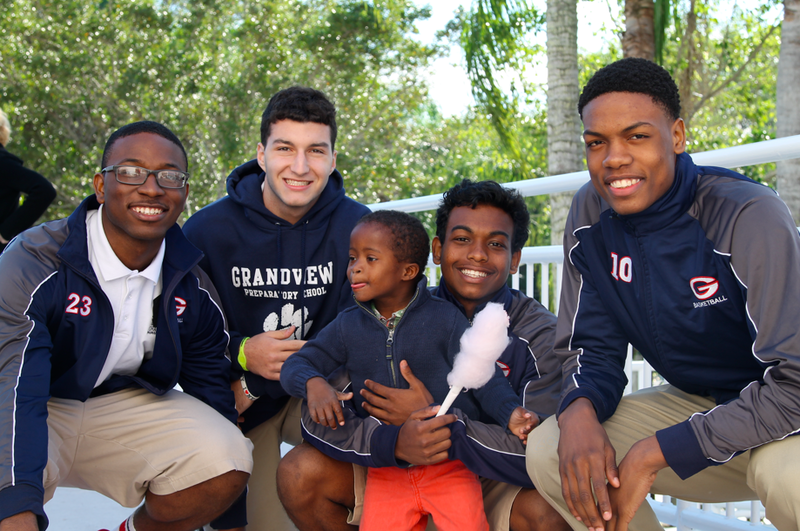 To this day, Grandview provides and funds everything for the event, including transportation, activities, and refreshments. The Grandview Association of Parents even provides personalized goody bags for each student. 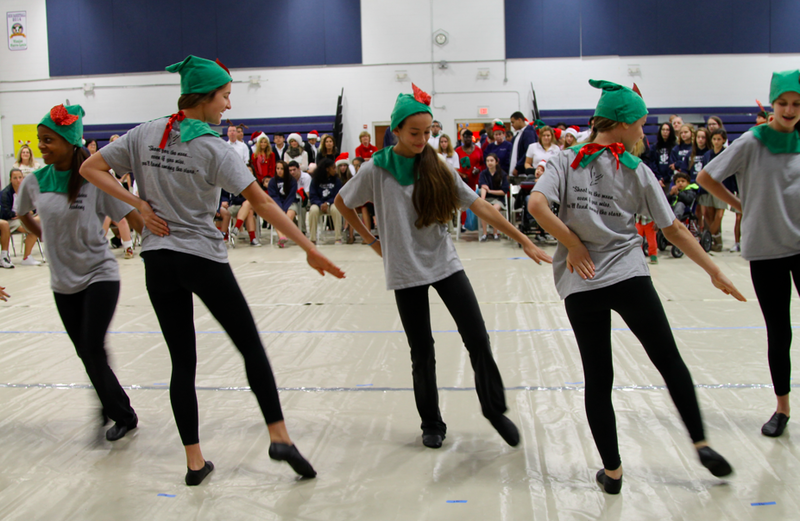 “It truly is a celebration and gift for both the visiting J.C. Mitchell children and our Grandview students,” said Jacqueline Westerfield, head of school at Grandview Preparatory School. Tags: Celebration of Life, Community, Community Service, Giving, Gratitude, Service. Bookmark the permalink.